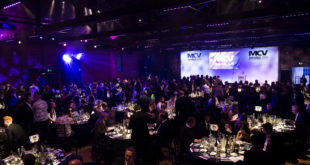 Just a handful of tickets remain for the Develop Awards. Next week’s event takes place on the evening of July 10th at the Brighton Hilton Metropole. 500 games execs are already set to attend. You can click here to book your ticket right now. Other enquiries should go to Kathryn.Humphrey@intentmedia.co.uk or call 01992 535 646 as soon as possible. 132 companies will be attending the event, which honours the achievements of games developers from the UK and Europe. The full list of attending firms is below. British comedian Imran Yusuf is the host of the ceremony. A variety of studios of all shapes and sizes from across the continent are vying for key prizes such as New IP, Independent Studio and Technical Innovation. The ‘games development hall of fame’ Development Legend prize will also be handed out – this year to Epic Games founders Tim Sweeney and Mark Rein. Event partners include Platinum Partners Crytek, Deep Silver and Microsoft, Gold Partners Testronic, Amiqus, UKIE, Perforce Software, Sumo Digital and Pitbull Studio, Drinks Reception Partner NaturalMotion Games, Table Gift Partner OPM Recruitment, Event Partners Nova Scotia BusinessInc and Playmob, and Award Partner ARM. For sponsorship and partner opportunities on the night contact Alex.Boucher@intentmedia.co.uk or call 01992 535 647.